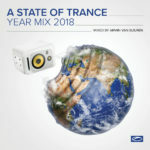 Armin van Buuren has managed to gather a stunning range of exclusive tracks for his award winning, annual mix compilation ‘A State of Trance’. 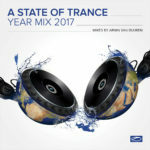 ‘Armin van Buuren – A State of Trance 2008′ is the long expected new album of the awarded sequence, which is now celebrating her lustrum with this fifth edition. 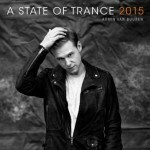 Up so far, the year 2008 has undoubtedly been a great year to Armin van Buuren. Earlier this year, his album ‘Imagine’ entered the chart within a number 1 position, therewith being the first Dutch DJ ever. Imagine’s first single ‘Going Wrong’ has become a worldwide hit and also ended up a top 5 track in the big charts. The DVD registration of the ‘Armin Only : Imagine’ concert that Armin kept in the sold-out Jaarbeurs in Utrecht venue is recently holding the #1 position of the DVD charts for three weeks in a row already. At the end of 2007 he was chosen number 1 DJ of the world by British dance magazine DJ Mag and won the Dutch ‘Buma Stemra Popprijs’. 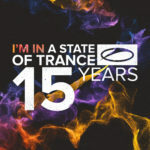 Besides that, Armin was crowned ‘Best European DJ’ at the International Dance Music Awards in Miami and once again managed to win the award for ‘Best Radio Show’ with his radio show ‘A State of Trance’. 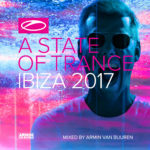 The four previous edition of the ‘A state of Trance’ series were a big success and therefore he chose to continue the successful concept of ASOT 2006 and 2007; CD1 contains the ‘On the Beach’ theme and contains tracks with catchy beats, warm vocals and delicate summer melodies, while CD2 reflects the atmosphere of an Armin performance ‘In The Club’.